Get 5 Safe Driving Points Today! Behind-The-Wheel, Classroom, and Driver Improvement Courses Available. Our instructors are DMV certified, AAA Licensed & Certified and highly skilled with over 20 years of over the road driving experience. We take care to provide a safe, comfortable, courteous, and enjoyable driver education experience. We offer a variety of packages to cater to the unique needs of teen and adult drivers. We have everything you need to succeed as a safe driver for the long-term, including behind-the-wheel and classroom services. 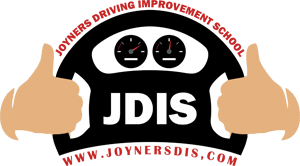 We’re dedicated to offering you, your family and friends the very best driving school program in Hampton Roads with a focus on dependability, customer service and uniqueness. We now serve customers throughout the seven cities: Virginia Beach, Norfolk, Chesapeake, Suffolk, Hampton, Portsmouth, and Newport News and are thrilled to be a part of the movement to keep our teens and adult drivers safe. Joyner's Driving Improvement School is the latest recipient of the Best Driving School Award as part of the Virginia Beach Award Program. We view this as a recognition of our staff's dedication to the safety of our students above everything else. Moreover, we always make sure to deliver results. Our students succeed on their road tests and become safe drivers; they also earn 5 safe driving points, lower insurance premiums, and meet court requirements.